I’ve had two items on my Christmas wish list for a while now: Illamasqua’s Lipstick in ‘Posture’ and Skin Base Lift in ‘White.’ I know it may not be Christmas jussst yet, but it’s close enough so here they are! Though Autumn is the perfect season for vampy, dark lips, I fell in love with Posture’s unusual ‘cool mauve’ colour, and thought it would bring something a little different to my usual go-to looks. 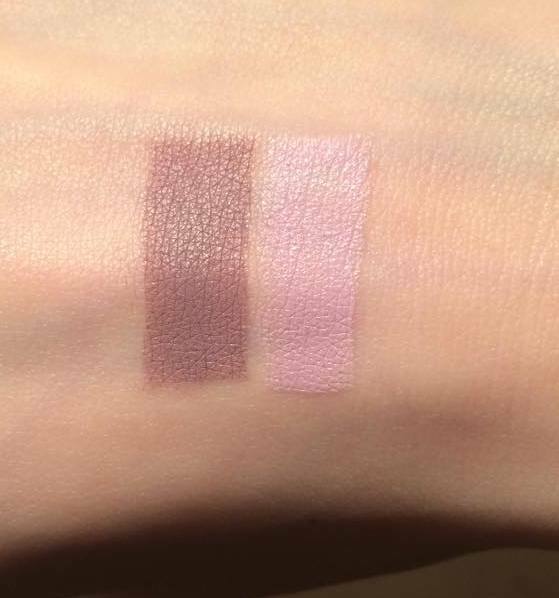 Here I’ve compared it to LimeCrime’s D’Lilac to give you a better idea of how unique – and amazing! – this colour is. 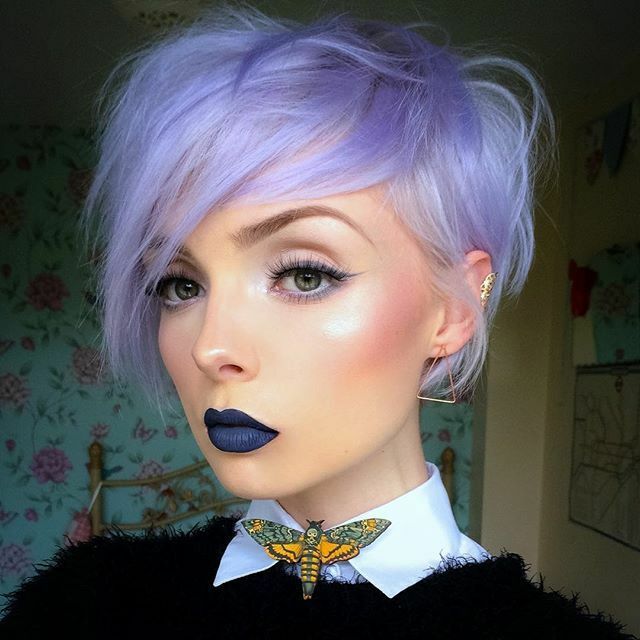 Along with a vivid violet lipstick, ESP, Posture was released last April as part of the brand’s ‘Paranormal’ collection and I’ve read quite a few reviews that criticise it’s ‘corpse’ appearance. I would agree that Posture is a colour that won’t be to everyone’s taste; it’s cooler tones work well on an equally cool complexion, but may need something extra to suit those with warmer skin. I sometimes use NYX’s slim lip pencil in ‘Dark Purple’ before adding Posture over the top. This helps to add more definition to the lips as well as deepen the colour in a way that would suit all skin types. This is my first Illamasqua lipstick and it won’t be my last. It’s texture is much similar to MAC’s matte range, if a little dryer, but that is to be expected with any lipstick that doesn’t offer a satin finish. It’s staying power is also on a par with MAC, if not that bit better, my MAC Sin tends to disintegrate and flake away if exposed to too much water (or gin…) where Posture stays put regardless. I’ve recently been experimenting with contouring; I’ve always been skeptical of the technique as it can mean caking the face with too much product, and it often isn’t a look that easily translates from the catwalk into every day life. Another obstacle I found was that, typically, highlighting demands a foundation or concealer two shades lighter than your normal skin tone. That’s where the Skin Base comes in… Here I’ve compared it to my ordinary concealer – MAC’s Studio Finish in NC15 – and the difference is huge! Illamasqua’s Skin Base is designed as a ‘brightening concealer,’ but in my opinion it works best at brightening rather than concealing. The nature of the colour means that, when applied to the cheekbones, nose and forehead, the whole face looks fresh and gleaming. However, as you may be able to tell from the picture, it does not offer as full a coverage as my MAC alternative. Maybe I have been spoiled by MAC’s rich, thick formula, but Illamasqua’s concealer didn’t cover my blemishes or under eye circles as well as I’d hoped. Mix the two superpowers together, though, and the end result is the almightiest of cover-ups! To top it all off, Illamasqua shared this photo on their instagram earlier today! Even more reason for me to go out and buy allllll of their things 🙂 don’t forget to check out my page: beautsoup. What do you think of these products, would you try them out? I love these colors but I don’t know how they would look on me. I’m going to buy something similar to see one day soon!